Setyres stock a wide range of premium manufacturer and quality budget tyres at competitive prices. Search for tyres online and arrange a fitting at your local branch. We also offer a FREE tyre safety check at all our branches. Setyres have 14 DVSA approved MOT testing centres which carry out MOT testing and repairs at competitive prices. Setyres offer a range of car servicing options to help keep your car in good condition and running smoothly. Book a full, interim or oil and filter car service at your local Setyres branch. Brakes work as a safety system for your vehicle so it is important that yours are working effectively. Visit Setyres for a FREE brake check and any brake repairs or replacements you need. We only use quality parts – fully guaranteed. Air conditioning systems leak and wear naturally with use over time. At Setyres we check and recharge your air conditioning system to ensure maximum comfort. Setyres provide FREE checks to your car suspension and if necessary we can supply repairs and replacement of parts for any make and model of car. All parts and labour come fully guaranteed. 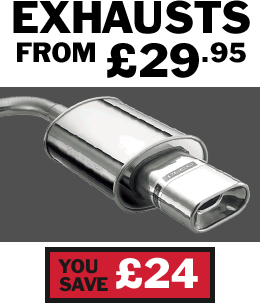 Book a FREE exhaust health check at your local Setyres branch to ensure your exhaust is working effectively. We can provide replacement quality parts if necessary which come with a guarantee. Setyres provide a wide range of car batteries, charged and ready for immediate installation by our qualified technicians. We also offer a FREE check to test the condition and health of your car battery. Setyres can offer advice and recommendations on all major repair work that your vehicle may require. Contact your local branch for an inspection or quote. Our up-to-date diagnostic equipment can quickly and efficiently establish any faults with your vehicle and provide you with an accurate report of any issues. Incorrect wheel alignment can affect your handling and cause uneven tyre wear. Get your wheel alignment checked FREE at Setyres and if necessary we can make the required adjustments.